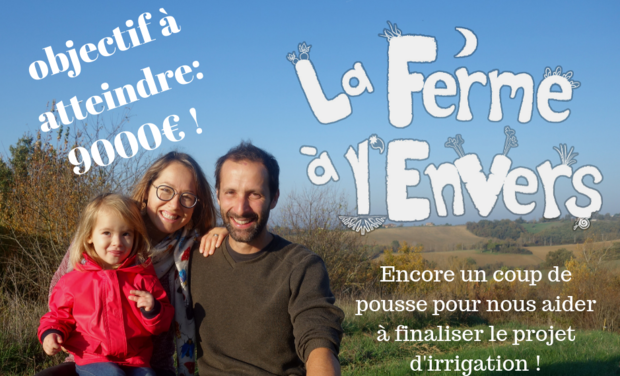 Soutenez une ferme locale, bio et responsable ! 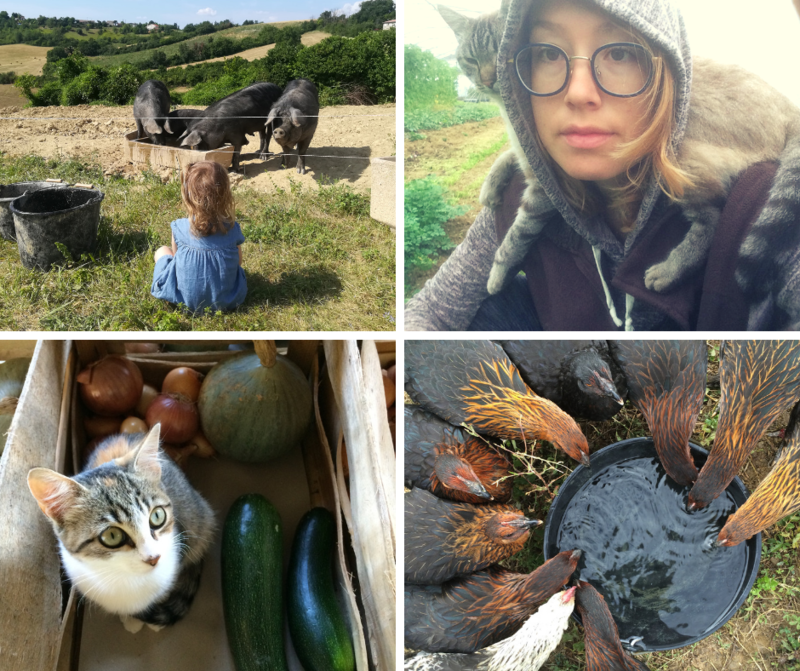 Help us build a resilient organic farm by improving our production system in the face of climate change ! 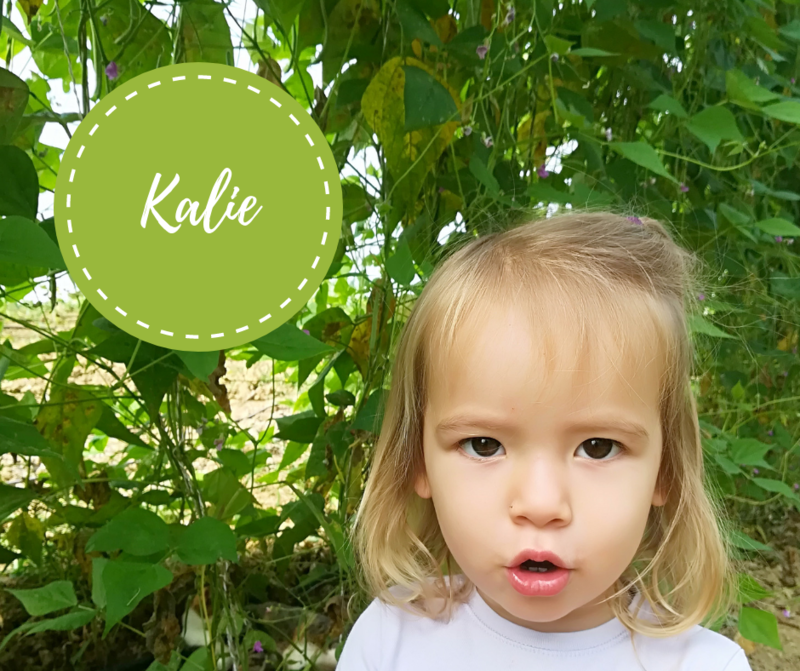 For fresh veggies all year round ! Welcome to the Upside Down Organic Farm ! and our team: we employ one person during the busy farming season and we host volunteers from all around the world who join us in daily life on the farm. 7 hectares of land and one barn on the hillsides of Saint Nauphary, close to Montauban in the southwest of France. 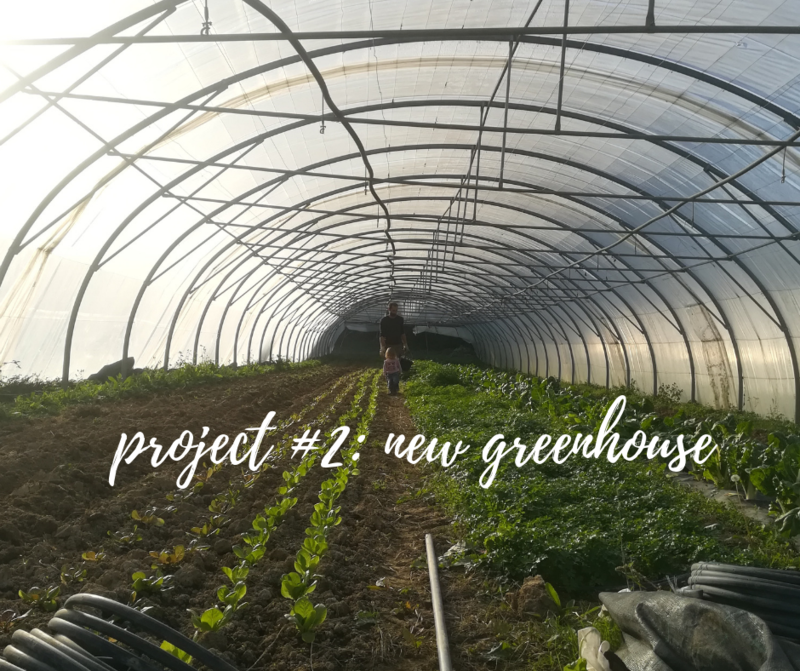 3 existing greenhouses (for early spring and late fall crops) + 1 hectare of field veggies. 2 markets every week (Montauban and Toulouse). 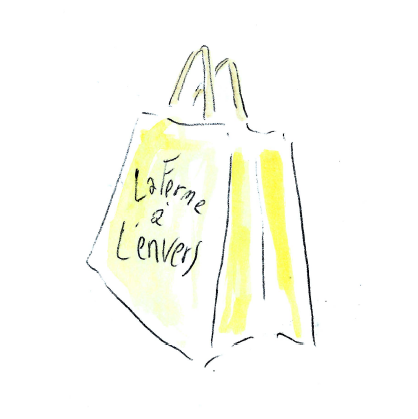 2 certifications: organic by Ecocert and an additional certification Nature et Progrès with stricter guidelines ! Vegetable production is our passion. Growing tasty, fresh, healthy veggies, on a human scale and in harmony with the environment is our beautiful challenge. It takes constant effort on our part and we are invested in this adventure because politically, socially and ecologically, this activity makes sense. 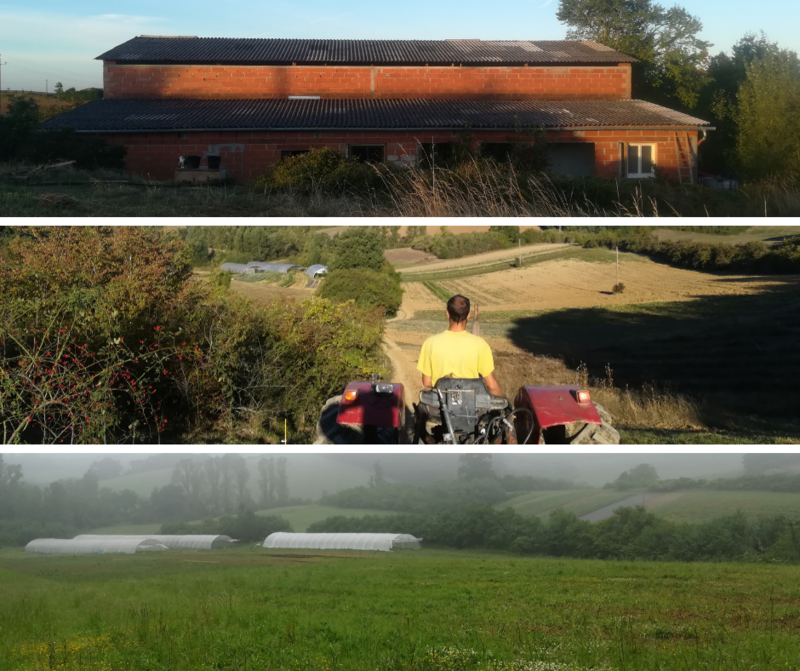 In fact, in France and around the world, farms like ours are becoming rare. The loss of family farming to industrial agriculture is a serious matter. 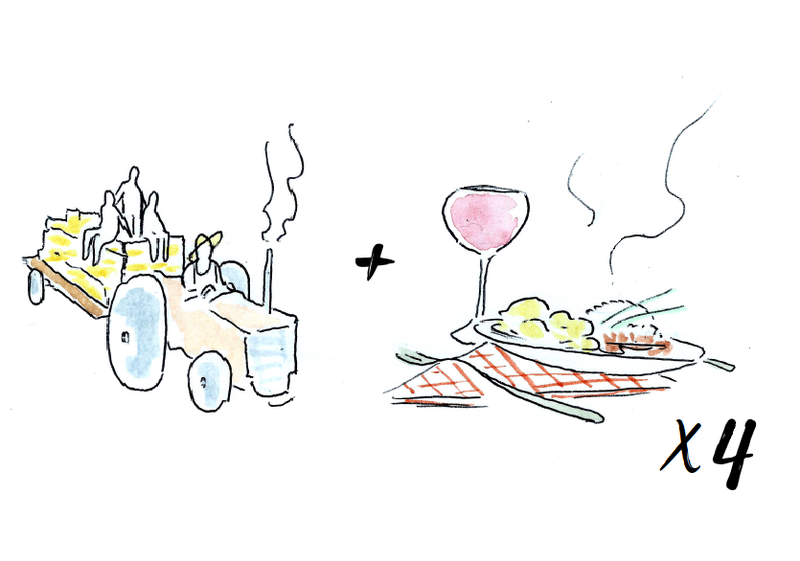 Little by little, the disappearance of knowledge, biodiversity, and autonomy produce a food system that is sterile, without life or flavour. We have decided to go in the opposite direction, (hence our name, the upside down, inside out, opposite farm). We are living proof that we can feed the world another way ! 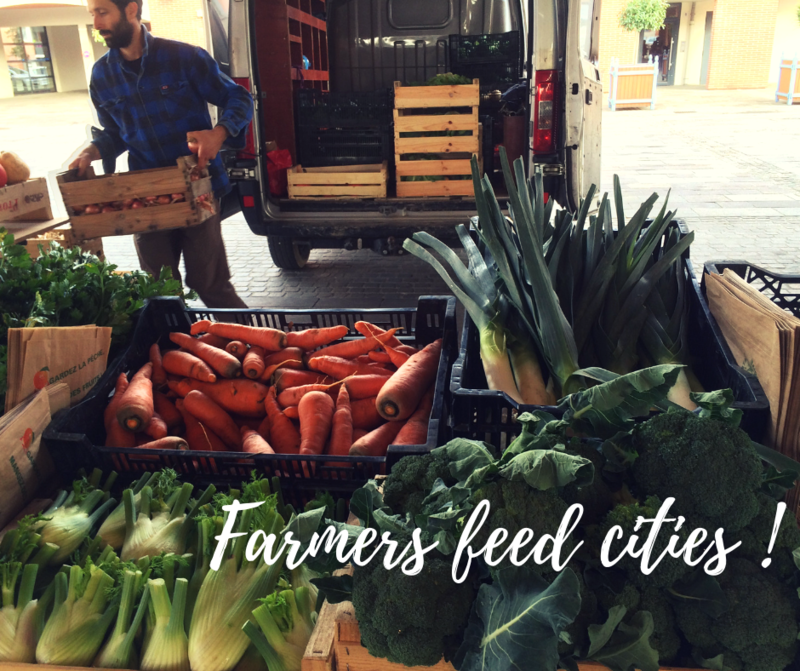 We can provide for cities without destroying the environment and we can produce food without taking from future generations ! continue farming ecologically and develop resiliency in the face of climate changes. Participate in the local economy. Develop and share organic farming knowledge. 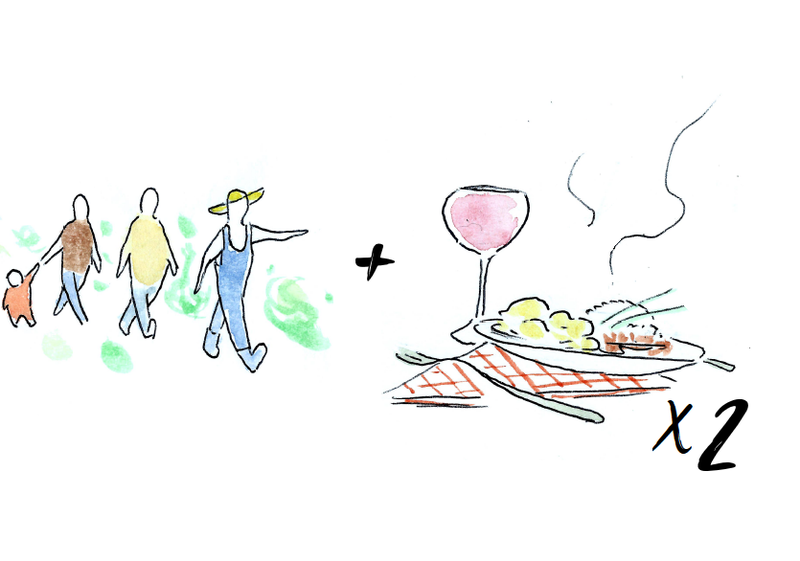 Create a social meaning around the farm. Is all this possible ??? Yes ! But we need your help ! Climate changes are impelling us to adapt our current system of production, fast ! For example, in 2018 we experienced an extremely rainy spring (field work was delayed and crops suffered) and a serious lack of water in the summer (drought conditions and insufficient irrigation). The consequence: too much time and energy spent in the fields and farmers in burn-out ! 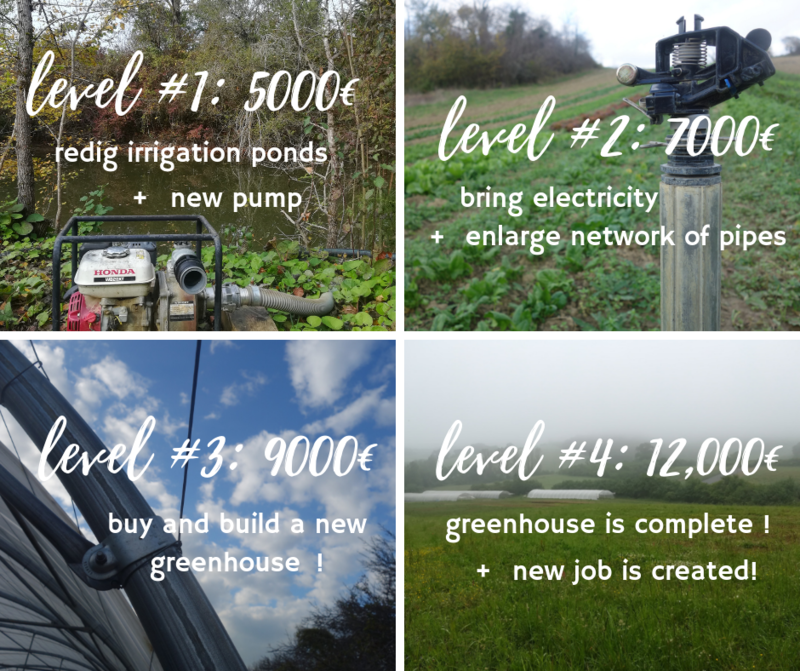 The farm will provide 3000€ from its 2018 revenue towards the completion of these projects ! The TOTAL remaining cost of implementing the Action Plan is 12,000€. We need your help to jump start the process ! Replace our existing inefficient pump, with an electric, more powerful one. Bury the electric cable that will supply the pump all the way from our barn to the irrigation ponds. Constuct a small cabin to permanently house the new pump. Redig the two irrigation ponds and eliminate several new trees on the shores that can drink up to 200L of water from the ponds every day ! Bury the irrigation pipes that supply the fields to avoid running over them with the tractor ! 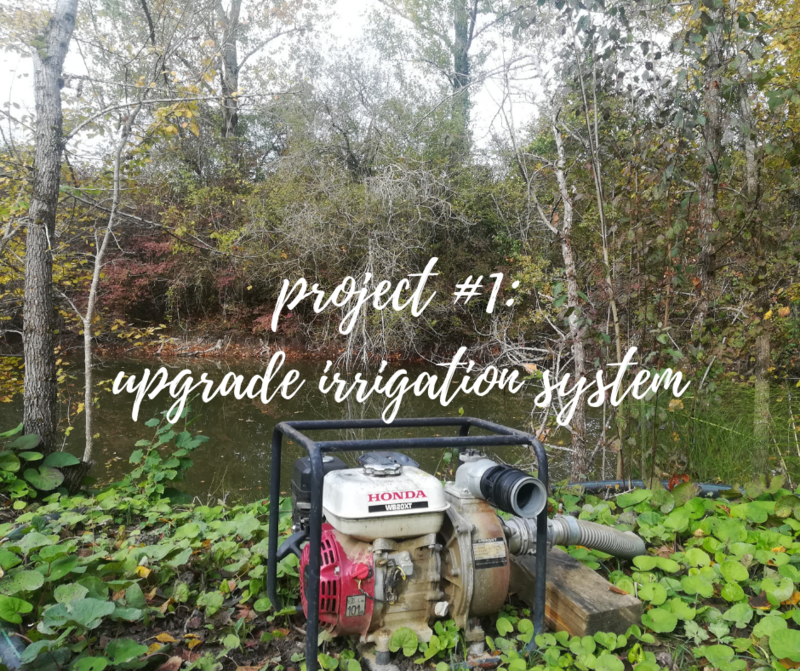 Plan connections and taps to easily supply every inch of our fields with sprinklers or drip irrigation. Multiply our stock of sprinklers to adequately cover our fields and invest in more drip lines to save as much water as possible on certain crops. Buy and assemble a new greenhouse of 50m by 9,30m. Install doors, and support bars necessary against heavy winds. Dig trenches on both lateral sides to bury the plastic cover. Install irrigation system under the greenhouse. Prepare the soil and plant early spring 2019 ! With project #1 in place, we can save a significant number of work hours each week. With less time and physical enery wasted, we will be more efficient in the field and less tired at the end of day. This is an enormous gift for the farm ! With project #2, more of our crops will be protected from unfavourable weather conditions. 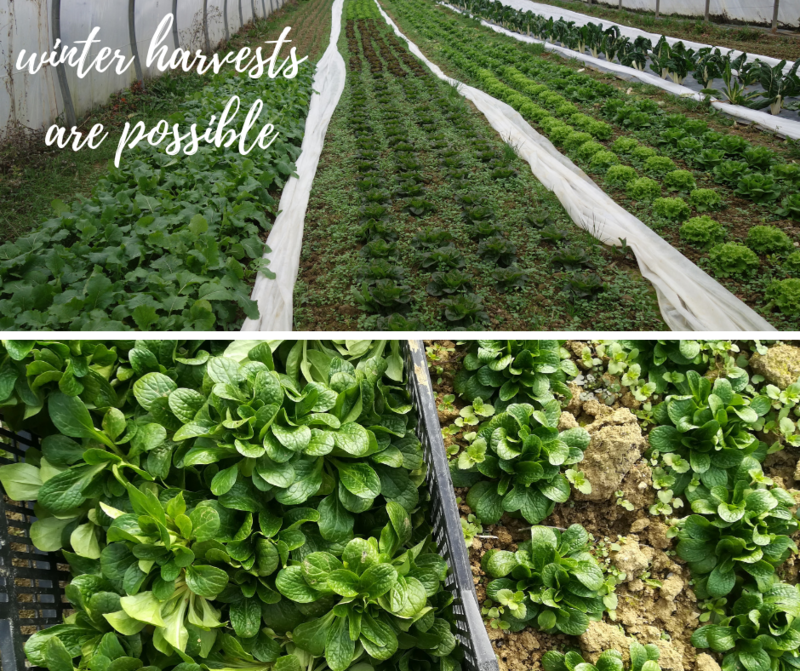 We can augment the quantity and diversity of vegetables possible throughout the year, especially at the end of winter, when we usually experience a drop in revenue. By expanding our harvest season, we can afford to hire a full time worker throughout the entire year. Your turn to decide ! 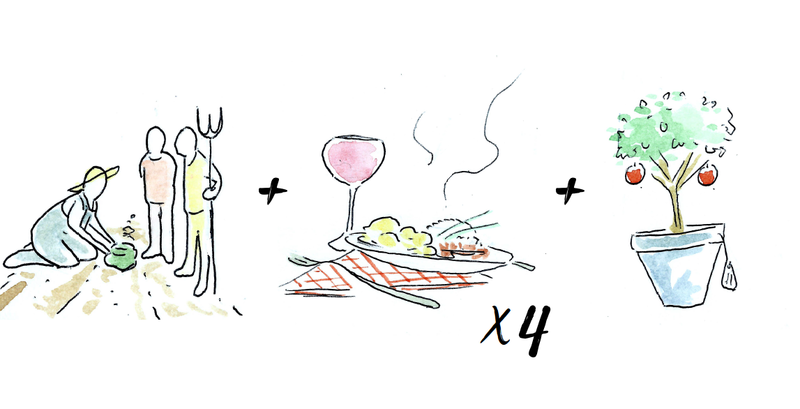 Contribute to this crowdfunding campaign ! Share the information in your networks ! 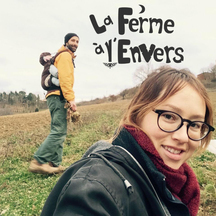 The entirety of the funds collected will go to la Ferme à l'Envers to implement the projects described. Thank you, we will feel the difference your support makes everyday ! A special thanks to Maite, a volunteer from this summer, for the creation of this lovely video ! 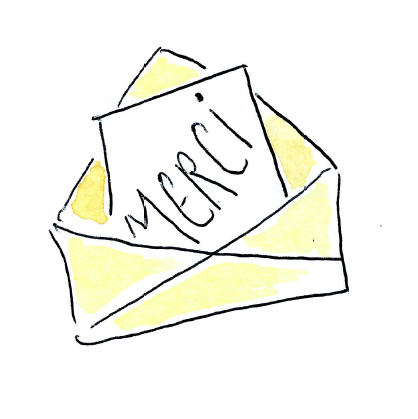 Shout out to our dear friends Félix and Clément for helping to make this happen ! Big THANKS ! 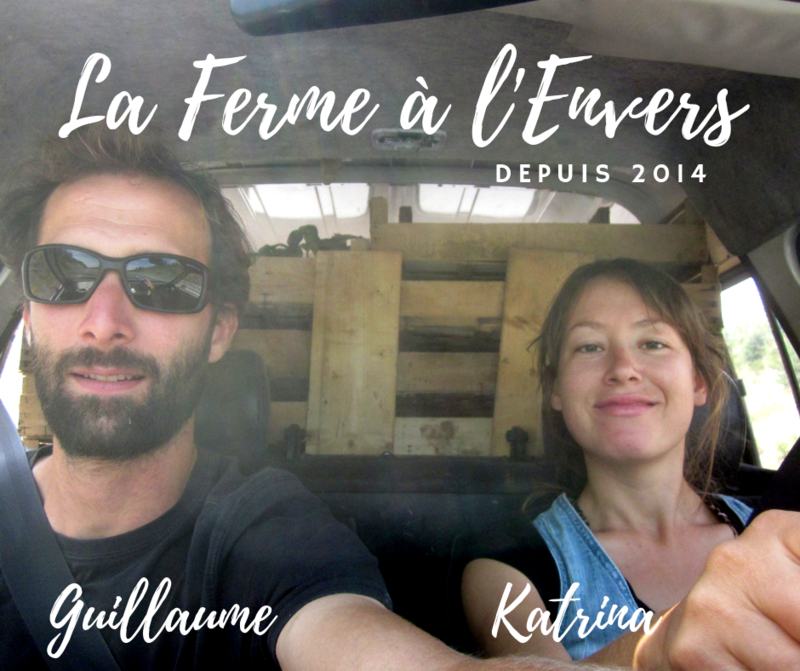 We will mail you anywhere in the world a special postcard from the farm and an invitation to the farm party in the spring of 2019 ! SUPER COOL! 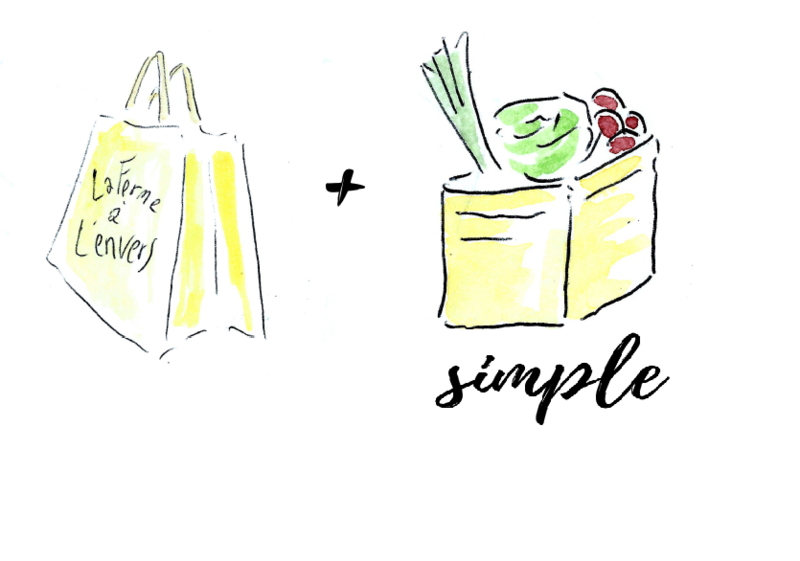 You get a special postcard sent from the farm to anywhere in the world, an invitation to our farm party this spring and a reuseable market bag designed with our logo! LOVELINESS. We will mail you a postcard + market bag + an invitation for 2 to our farm party and come by and pick up a single size fresh seasonal basket ! AMAZING. 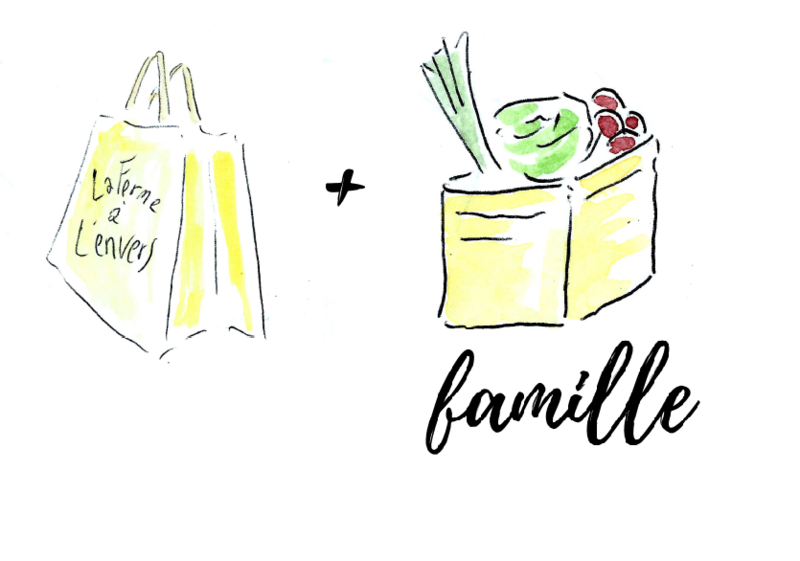 You got it: postard, market bag, invitation for 4 to the farm bash, plus a fresh family size seasonal basket to pick up from the farm ! Hurray ! TOTALLY AWESOME. 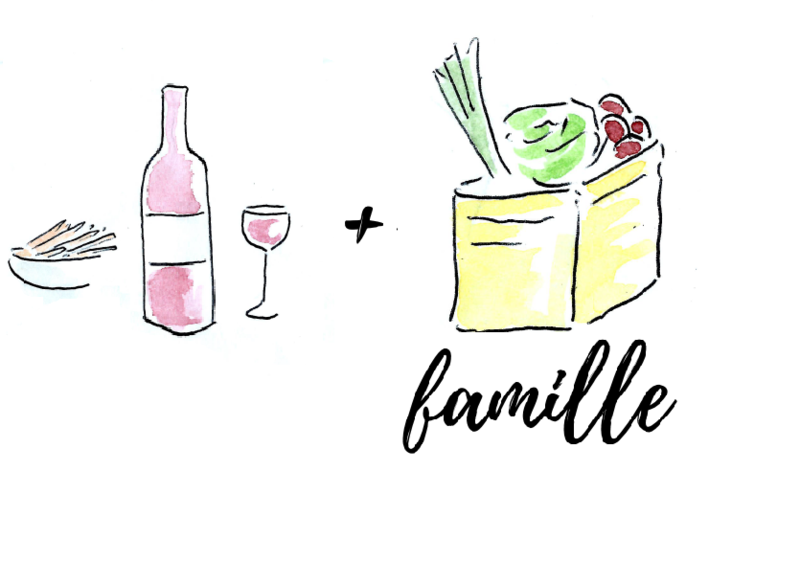 We will mail you a postcard, market bag and invitation for 2 to the farm party, plus join us on the farm for HAPPY HOUR with the farm team and don't forget your single size seasonal basket ! Cheers ! FANTASTIC! You'll receive the postcard, the market bag, an invitation for 4 to the farm bash, a visit of the farm for the whole family and harvest your own family size seasonal basket, straight from the fields ! EXCELLENT. 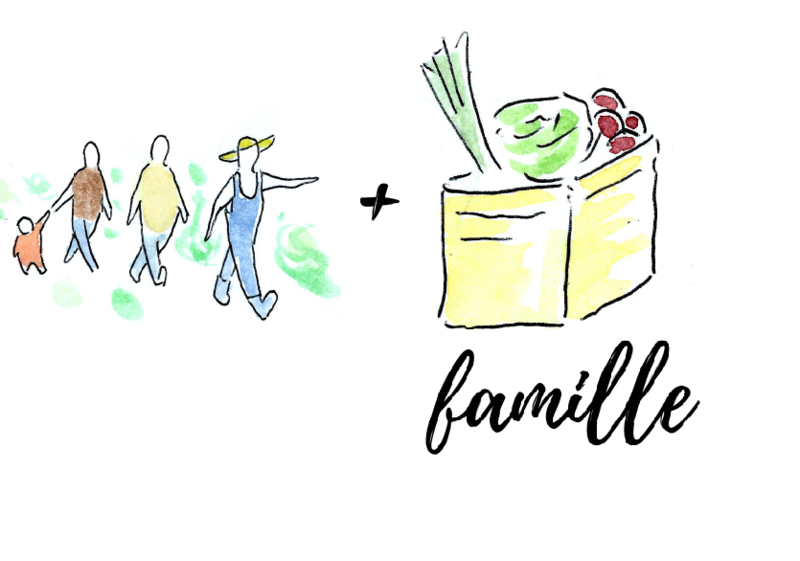 We'll send you the postcard, the market bag, an invitation for 4 to the farm party, plus a visit of the farm and dinner for 2 at our place, homegrown and home cooked with love by Katrina ! Go home with a family size seasonal basket ! FAMILY FARM FUN. 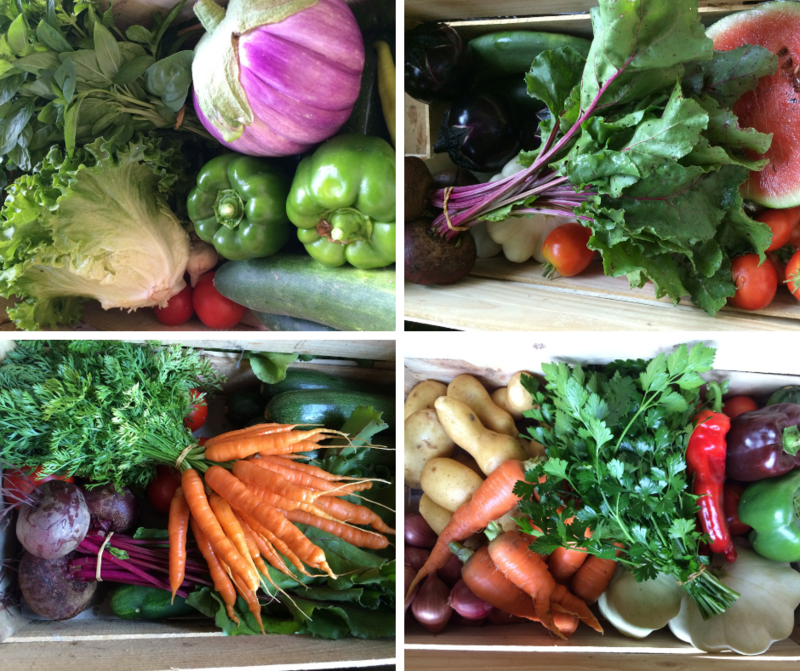 The postcard, the market bag, an invitation for 4 to the farm bash, a farm visit with a TRACTOR RIDE, a homegrown, home made meal for 4 and your own freshly harvested family size basket ! WONDERFUL. 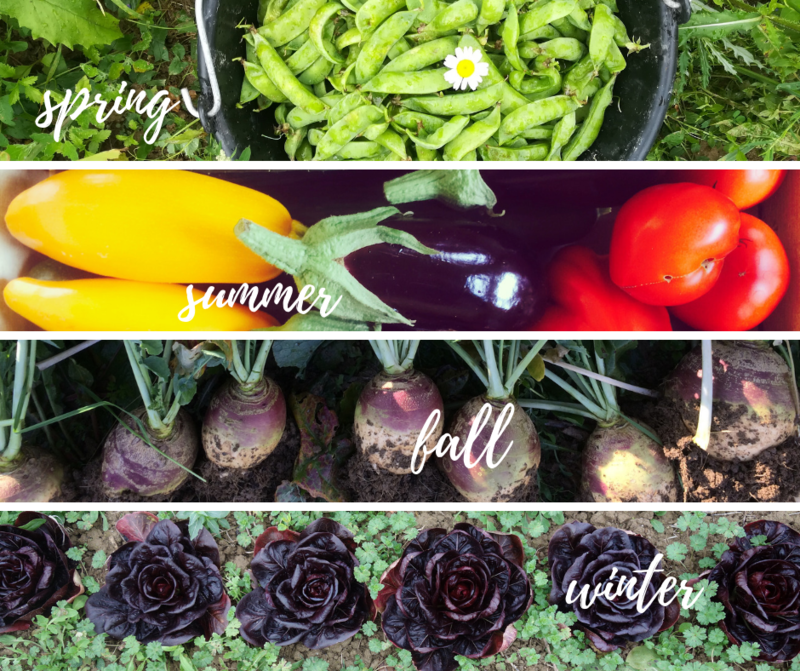 We will send you a postcard, the market bag, an invitation for 6 to the farm party, plus a farm tour with a half day crash course in organic gardening, a special meal for 4 at our place, a collection of plants for your garden, a fruit tree and a family sized basket of fresh veggies. You are now FAMILY. 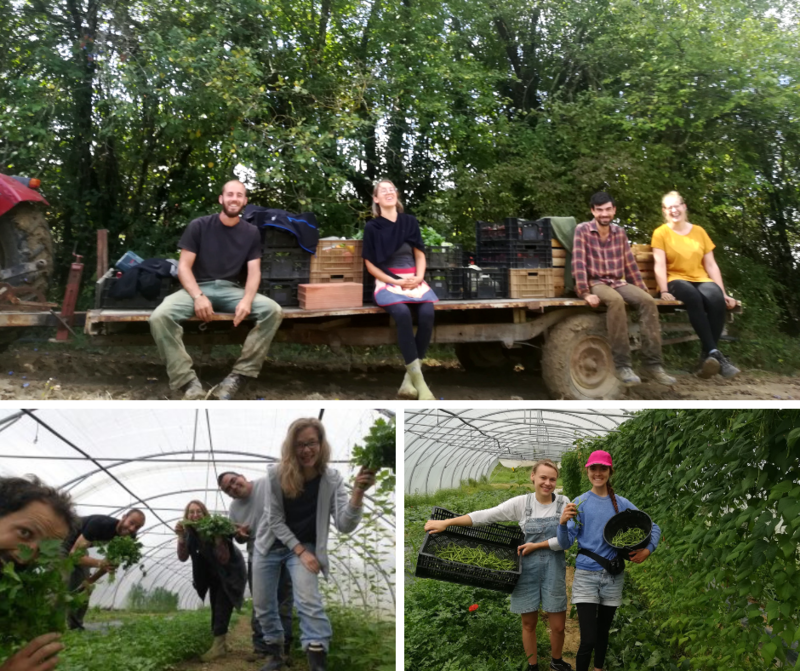 We will send you a postcard, a market bag, an invitation for 6 to the farm party, a special full day farm visit, with crash course in organic gardening, your own fruit tree and a festive meal for 6 at our place, plus a collection of plants for your own garden and a basket of home made preserves !